Cape Town - Mamelodi Sundowns head coach Pitso Mosimane admits departing forward Khama Billiat will remain in his team if he performs at the required level. SuperSport United and Egyptian giants Zamalek are two club's who've already expressed their interest in the former Ajax Cape Town man, but the skilful forward still harbours hopes of a dream European move. 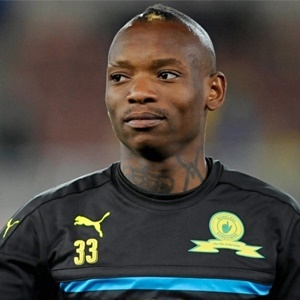 "Khama (Billiat) can do whatever he wants to," he told SABC Sport. "If he wants to stay, he can stay; if he wants to go ... the contract is finishing. We are at peace with that. "He deserves to be in the starting line-up," Pitso added. "But you must work a little bit to get in the starting line-up. If the team wins why do you want to change it? "So if he scores then it’s something else then you say ‘okay, maybe he should start’. You got to work yourself into the starting line-up."